Hey Everyone! I am so excited to be back again to share with you another Birthday Card that Ive been working on. I created a couple of these cards for a couple of orders. 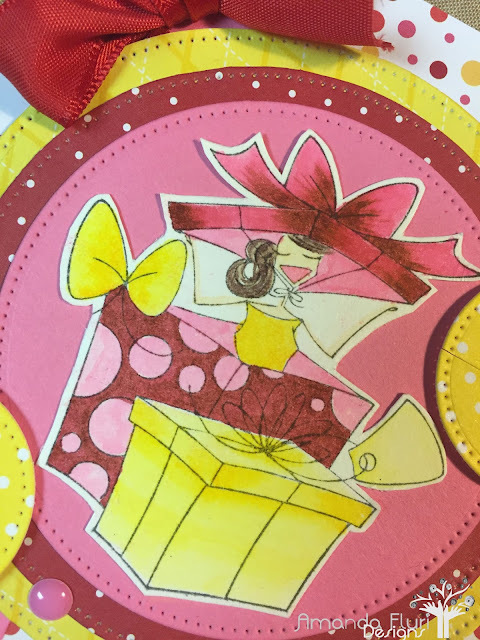 As I was putting the order together I looked through to see what colours I had lots of cards created in, and designed this card around colours that there weren't as many done in. I love this stamp, and haven't designed a lot of cards with it, so thought it was a perfect to use it for this card. I started this card with the papers (all of which are scraps), and coloured the image around that. I am very happy with the way this card turned out! Water Colour Cardstock - used to stamp the image onto and colour.